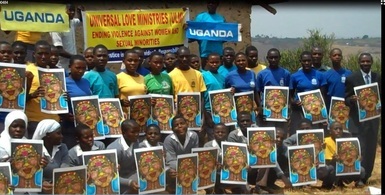 Help us support the human rights organization, Universal Love Ministries of Uganda! 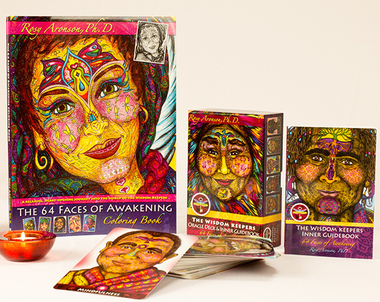 For each Wisdom Keepers Oracle Deck you purchase by December 1st, you will receive a free 64 Faces of Awakening Coloring book, signed by the artist, as well as make it possible for us to donate 15% of our profits to Universal Love Ministries in Uganda, an organization that has touched our hearts deeply. (Each deck also comes with a fuchsia organza bag and 3 Wisdom Keeper Gift Postcards.) Contact Rosy for larger orders. ​Universal Love Ministries entered into my life the day I decided to run "The Face of Love is Universal: 64 Faces in 64 Days!" global video campaign, on the International Day of Peace. In the most magical way, ULM became the very first group to volunteer to participate in the campaign. As you can see in the video to the right, they did so with tremendous joy and generosity. Since then (to my own surprise!) I have become deeply involved in and inspired by their work. Somehow for me they embody the essence of what the Wisdom Keepers and my recent global video campaign are all about--a profound and unconditional love, respect and compassion for all of humanity. The people at ULM put their lives on the line every single day in order to honor and protect the dignity and sovereignty of all beings. 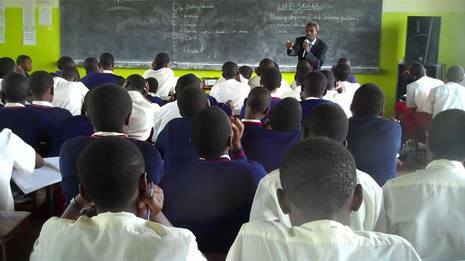 They train key religious, community and cultural leaders on human rights, provide much-needed support and shelter for vulnerable children, violated women and members of the frighteningly discriminated against LGBTQI community in Uganda. 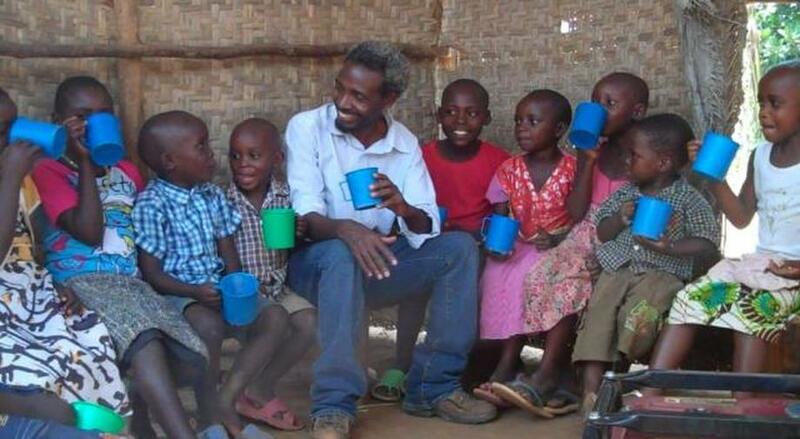 If you are not yet familiar about what has been happening in Uganda, I highly recommend seeing the movie, "God Loves Uganda" (or even just the preview!) to get a sense of what's going on in that country, and just how connected we all are -- in the best, and sometimes, in the worst of ways. Samson Turinawe, Sharon, Nelson, Professor Arvan and other "Wisdom Keepers" from this organization came into my life at a time when I truly needed powerful, heart-centered, courageous and humanity-loving role models. This is my way of thanking them for showing me the way. ​If you are moved to do so, please join me in supporting ULM... and stay open to the possibility that like me, you'll end up receiving many unexpected gifts as a result of your generosity. 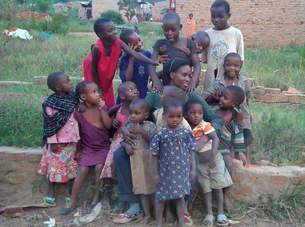 Along with the donations you'll be making through your purchases here at WisdomKeepers.net, there are other ways to get involved. We are, for example, looking for non-profit affiliates, humanitarian Foundations & organizations, as well as volunteers with business, marketing and grant-writing experience who resonate with the mission of ULM. Samson Turinawe would also love to come to the United States to share about what is happening in Uganda and Africa, as well as to inspire us to keep our hearts open, minds flexible and goals set on the art of reconciliation -- against great external and internal odds! If you know of a school, organization, institution or group that would welcome him as a speaker, please contact him here. difference in some wonderful people's lives!